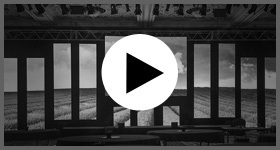 This video created by Ascential Events the organisers of World Retail Congress shows the higlights from Day 3 of this huge retail event where topics including “Ok Google, What next for Retail” and “In an age of change, why old retail skills still matter” were covered. The Awards ceremony was also held on the evening of Day 3, highlights are included in this video. This video created by Ascential Events the organisers of World Retail Congress shows the higlights from Day 2 of the congress which featured plenary sessions from Karl Bygrave Director of soap retailer Lush, Andrew Higginson Chairman of Morrisons and Simon Hudson Managing Director of Mothercare. This video created by Ascential Events the organisers of World Retail Congress shows the higlights from Day 1 of the event held at the Madinat Jumeirah, with opening remarks from H.E. Sultan Al Mansouri, Minister of Economy, UAE. This video created by Ascential Events the organisers of Retail Congress Asia, demonstrates what a a fantastic event the 2016 Expo was and how needed this sort of event is in Asia. The 2016 event was a great success and we were thrilled to be a part of it as their Technical Production arm. This video shows how the 19m tall LED screen, installed by Showcase, looks within its car showroom setting at Audi West London. As far as we can verify this is Europe’s tallest LED screen. This video shows the installation of AV equipment, stage and furniture was conducted at Newark Showground for the Ministry Without Borders Bible Week event. This video shows the installation of the Technical Production equipment for Superdrug’s 50th year celebrations by Showcase AVi December 2014. Recorded on a time-lapse camera you can see the entire installation, some of the live event unfold and the de-rig. We were so impressed with the visual appeal of what Porsche created at their new pop up shop in Shepherds Bush. We were fortunate enough to be invited to the opening through our Parent Company Showcase Interiors and took the opportunity to video the display to share with you. Not only were scenery images mapped onto the sides of the car, the wheels were also part of the mapping process, giving a feeling of movement to the static car! In addition to this the engine revving soundtrack really made you feel like you were there and driving the car – a great experiential concept. This video demonstrates fusing picture in picture capabilities with blending technology using the latest Fusion system. The backdrop is three single sections of screen material – this is a really modern approach for making a set come to life especially if you want to deliver a presentation with the “wow factor”! The centre of the screen is 3mm which is used to show the most important high resolution content, the border of the screen is in 6mm either allowing for graphical borders to be applied or for the content to slide off the main screen onto the borders – whilst still being present it is less visible. The back wall, side walls and floor are all playing mapped content simultaneously by streaming through a media server. For example – whilst the content plays on the main screen the other screens can pulse or light up in sync. The content could even be mapped to slide down onto the floor or onto the side walls after it has been displayed.